We run super-popular monthly events at Soul Stretch; all designed with the intention to bring like-minded souls together, to give you some time out from crazy London living, to reconnect with yourself, and try something new! You can always expect to be welcomed by friendly faces, and to leave feeling uplifted. Feel free to subscribe to our newsletter to stay in the loop! A Saturday evening session of candlelit Yin Yoga and Sound Healing, led by Holly. Expect very little movement on your mat, but some deep stretching and long holds to get into those tight areas. We'll move slowly and intuitively into various lying-down poses, and your body will thank you for each long release. You'll receive gentle guidance as we explore energy, chakras, elements, emotions, breathing and meditation. This will be a sensory and an immersive experience, where you'll be bathed in sounds from beautiful instruments such as bowls, chimes, rain stick, monochord and voice and surrounded by lovely smells and gentle lighting. ‘It's my intention to help you relax, reset and reconnect in a beautiful safe space. I invite you leave your troubles at the door, and join me on this journey of the senses.’ Tea and hugs provided! Please note, booking is via Team Up, where you will be directed to register first as a customer and then onto book your space. Spaces are limited so if you know this is exactly what you need, make sure you book early! Run by sound healer Holly Davis and shaman Anouska Madden, we’ll start with a relaxed talk about what a spirit animal is and how it can increase your personal power and help you with your life, before you lie on your mat to receive a meditative drum journey guiding you to find and connect with your own personal spirit animal. We’ll then follow on with an immersive sound bath; using crystal singing bowls, water instruments, drums, chimes, and our singing voices, where you will simply relax and receive what you need. Finally, we’ll open a sharing circle where we’ll chat about our experience and give time for questions and answers, with a cup of tea to ground us! THE CLASS WILL BEGIN WITH SOME GENTLE RESTORATIVE POSES USING PROPS TO CALM THE NERVOUS SYSTEM, WHILST RELEASING STRESS AND TENSION IN THE BODY. THIS WILL BE FOLLOWED WITH A YOGA NIDRA PRACTICE; A MEDITATION WHICH INVITES YOU TO A HIGHER LEVEL OF AWARENESS. THE BODY IS RELAXED AND THE BRAIN STAYS ALERT; YOU ARE NEITHER AWAKE OR ASLEEP. THE BODY AND THE BRAIN RESETS AND RESTORES TO PROMOTE A GREATER SENSE OF PEACE AND WELLBEING. Please note, by clicking below you will be guided to first sign up as a customer on Team Up, and then onto booking. Learn the basics of natal astrology with Francesca. Your birth chart is a map of the planets in the sky taken at a specific moment in time. Astrologers look at the signs, houses and relationships between these planets. Send your date, place and time of birth to the nearest minute possible when you book, and Francesca will use this information to print your birth chart! We will look at the basics of a natal chart and talk about signs, planets and houses in your chart. Bring a pen and be ready to dive in! This event will leave you feeling inspired. Tea included! Our fully-booked Full Moon event is back! Please come and join us on the mat for 75 minutes of deep relaxation, where we’ll join together to experience the magic of the full moon in our cosy candlelit haven! We’ll use the energy of the moon to set our own intentions of what we want to bring into / release from our life, followed by a beautiful guided Yoga Nidra meditation led by Soul Stretch teacher Claudia, followed by a sound journey of Alchemy crystal singing bowls and fairy chimes led by Holly. All that’s required of you is to lie on your mat and relax! It's our intention to have you leave feeling absolutely blissful, with a cup of organic tea and some goodies to take away. *By clicking below, you’ll be guided to Team Up to register your email address first, then simply book on! If you happen to be in Edinburgh this weekend, please join Adam Husler and Holly Davis for some charity yoga sessions, with all proceeds going to Samaritans. From 3-4:30pm, Adam will lead you through a juicy vinyasa practice where we target the tight parts, finding increased flexibility in the stiff bits and strength in the weak bits. With attention being given to; shoulders, chest, hips, legs, and plenty more, you’ll laugh and cry as you balance on that fine line between torture and mild discomfort. Prepare for steadily flowing, alignment focused Vinyasa and some deeper static sections. Once the flow stops, guest teacher Holly will bring you some love via a special selection of deep stretching Yin poses; perfect to end your weekend and ready for the week ahead! Expect an active opening and deep relaxation practice. Run by our lovely teacher and student, Claudia, this is a donation-based class with all proceeds going to charity 'African Parts'; a charity which helps to conserve Africa's wildlife and protect the animals! On this Saturday afternoon, it’s all about slowing down. Slow-YIN down to be precise. Yin yoga is soft. Yin is stillness. Yin is the ultimate letting go. Through this practice, we can truly turn our gaze inwards and get to know ourselves on a much deeper level, so that we can start to heal ourselves from the inside out. Don’t underestimate the power of Yin yoga. Two hours of delightfully deep poses (lying down/sitting) held for a few minutes at a time, designed to help move you further into your body, exploring your mobility as well as your mind. You will gain a deeper knowledge of the Yin/Yang philosophy, how balance in life is key to maintaining health and happiness, explore where you might be blocked and how you can use this inner knowledge to promote greater health, happiness and wellbeing for yourself. This workshop is for you if you need some time to slow down and be with yourself. Join me for this special afternoon where I will bathe you in sensory delights, including crystal bowl sound therapy, organic tea and meditation. Expect to leave feeling blissed out from head to toe. Due to the success of our last sold-out event, myself and Rachael from Welford Wellbeing would love to invite you back for a special evening of full moon yoga and sound bathing. The evening will start with taking your place on your mat and enjoying some warming organic Moon tea, while Rachael guides you through a Release Ritual. This will involve getting out of the head and into the heart, then scribbling down what you want to release from your life, and what you want to attract into your life. The energy of the full moon is a powerful time to make these changes! Book your Earlybird ticket here! "Designed for women (though men still welcome! ), this is a new concept of self defence. l aim to teach you how to know yourself - you can't defend yourself if you don't know who you are, and the first person who you need to be defended against is yourself. We'll start with a warm-up followed by a meditation to let our worries go, connect with our energetic field and ground ourselves. Next come some emotive exercises, where we'll work to connect with our masculine/feminine energy, our animal part, improving our self-esteem and releasing our fears. We'll then explore and practice some self defence techniques. And to finish, we'll have a stretch and relax to some lovely aromas and gentle music." The workshop will effectively be a two hour long Vinyasa flow class with a ‘stop/start’ element which will include a technical breakdown of some of the basic asanas, including how to vinyasa (as well as ‘floating’ forward), so that your understanding of how each pose should be done can be explored, developed and improved. We’ll also cover a couple of the trickier ones like Bakasana (crow) and headstand. The vibe will be relaxed, with questions and interaction encouraged throughout, and we’ll finish off with some peaceful meditation so that you leave feeling wonderful and ready to face the week ahead! *To book, you will need to firstly register your name/email address then purchase your spot! “I invite you to join me for a Moon Bathing Meditation and Herbal Tea Ceremony in dedication to this very unique celestial moment of gratitude, joy and celebration. We will connect, align and regenerate ourselves with the lunar energy and celebrate what we are grateful for, to attract more abundance into our lives, and to let go what doesn’t serve us anymore.” Ambre makes her own herbal tea which will also be provided on the night! The Equilibrium festival, Hackney, is an immersive holistic day of wellbeing which grabs hold of all your senses and takes them on a journey. With a huge mix of classes and workshops from live art to astrology, yoga, meditation and gong bathS. Join the tribe and find your EQUILIBRIUM! 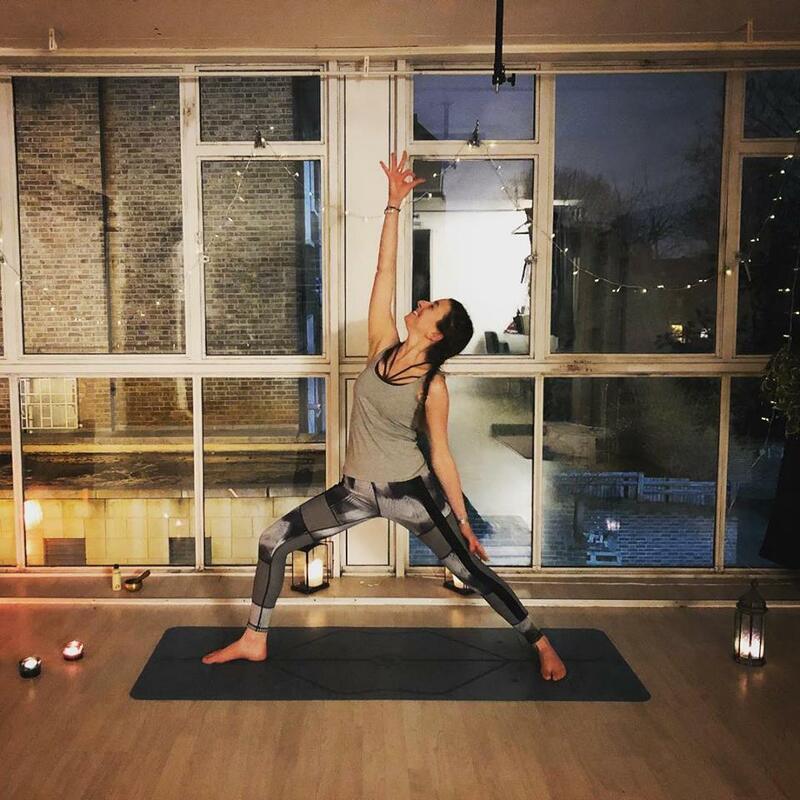 Come and join us in Brixton Community Base for an hour of candlelit Vinyasa flow yoga run by Holly, followed by a relaxing, immersive, meditative sound bath experience led by the magical Rachael Welford. Lie down on your mat and let the beautiful sounds of gongs, drums and Tibetan singing bowls wash over and through you. Sound is a powerful healing tool that resonates deeply to release blockages and promote emotional health and wellbeing. Expect to leave feeling utterly blissful.Feel free to bring a blanket and cushion to get cosy!